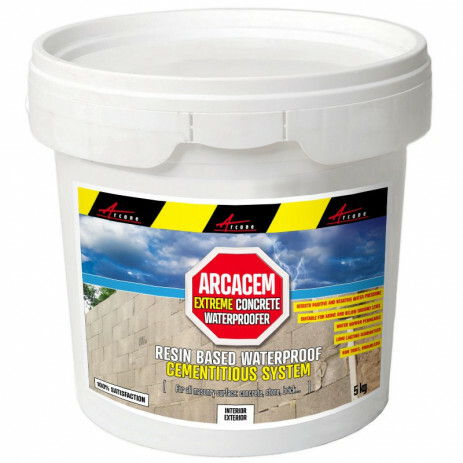 Arcacem Concrete Waterproofer Tanking Slurry is a waterproof cementitious tanking system which is highly resistant to hydrostatic pressure whether it is applied from the inside or the outside (pressure from the outside against your building structure). 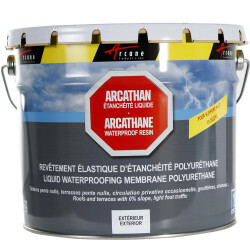 Arcacem Concrete Waterproofer Tanking Slurry works by blocking the capillary pore structure of the concrete surface to liquid water ingress while remaining permeable to water vapour ( which allows any entrapped moisture to escape and the struture to 'breathe'). Penetrating into the pores of the substrate, our waterproof tanking product will become one with your structure (and cannot be pushed off by water pressure). The waterproof tanking system Arcacem Concrete Waterproofer Tanking Slurry does not add heavy weight and additional thickness to your existing structure (3mm) while proving ly resistant to high hydrostatic pressure. 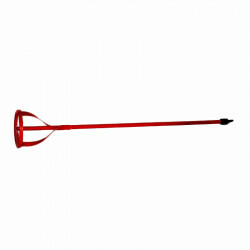 Very long lasting effect guaranteed! 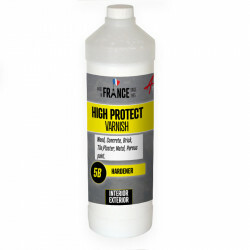 Provides a waterproof coating which adheres perfectly to damp surfaces, cement and fresh mortar. Avoid water based tanking system that are less resistant in regards of water pressure (positive and negative), no salt resistant and have a weaker long lasting effect. A complete waterproof and tanking system, Arcacem Concrete Waterproofer can be covered with a decorative paint such as ARCAPOOL or tiling (in swimming pools, for example) or the waterproofing tanking product can be left as is (when applied in water reservoirs , for example). Q: Is it possible to apply another coat at a later date? A: If the product has been applied correctly with correct coverage rate you can applied an additional coat. Q: Is Arcacem suitable for exterior use? A: Yes. 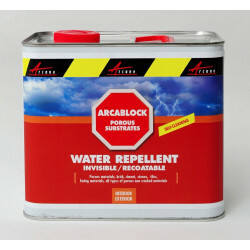 Arcacem Concrete Waterproofer Tanking Slurry can be used externally. Tto get a better finish you can sand gently the last coat (after 24 hours) or you can over coat the coating with a water vapour permeable masonry paint. Q: Why are there still damp patches or condensation on the surface after 1 week? A: Condensation is mistaken for a defect in the coating, you can removed condensation by a good room ventilation by either a dehumidifier or extractor fan. Water vapour passes through Arcacem and if ventilation in the room is poor then it will condense on the coldest surface in the room. Do not apply under direct hot sun or on hot surface. In the summer, apply in the morning. Avoid application if strong wind and/or rain are present. Do not apply Arcacem Concrete Waterproofer Tanking Slurry on frozen substrates or if freezing temperatures are forecast within 24 hours. Careful attention to the preparation of the surface is essential to guarantee bonding. 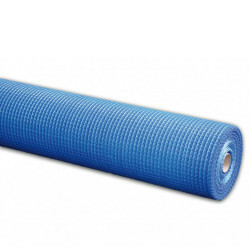 The surface must be clean, sound, and free of loose or friable materials. Where the surface is dry or hot to touch, WET DOWN THE ENTIRE SURFACE BEFORE APPLICATION. IMPORTANT : We highly recommend forming a fillet at the wall to floor junction before applying Arcacem. This area is one of the most leak-prone areas of basements and the focal point of stress caused by movement and settlement. Concave fillets installed in the wall/floor junction won't eliminate all movement between the wall against the floor, but the stresses are spread over the area of the rounded out fillet, instead of being focused on the point of that 90° angle. Arcacem applies easier and better (no build-up in sharp angles) to the rounded off surface. Pour the resin into a large container. Stir in the powder slowly and progressively. It takes a full minute for the mixture to start bonding (adding ARCACEM from this point on will not pose a mixing problem). Mix for 2 to 3 minutes, the paste should be of uniform colour, creamy in texture and homogeneous without lumps. Let it sit a few minutes prior to application. 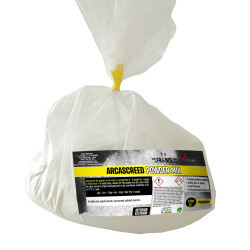 Do not apply Arcacem Concrete Waterproofer on freezing surfaces or if freezing temperatures are forecast. Avoid application in direct sun and/or strong wind and/or rain. If the substrate is too hot (exposed to direct sun) wet to cool. The substrate may be damp but not soaking wet. Pour the resin into a large container. Stir in the powder slowly and progressively. 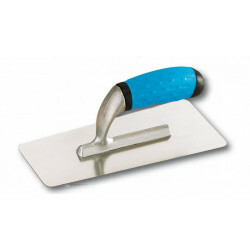 A trowel can be used but it is preferable to use an electric or pneumatic mixer. It takes a full minute for the mixture to start bonding. After 2 to 3 minutes stirring, the paste should be of uniform colour, creamy in texture and homogeneous without lumps. Let it sit a few minutes prior to application. 1st coat: Apply the first coat (2 to 3 mm thick) with a brush as it has a massaging effect which causes the product to penetrate the pores and avoid bubbles forming. Important: Wet down the surface before the first coat only never between. 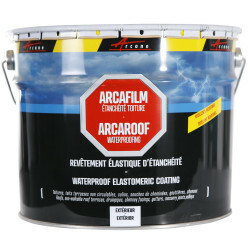 Arcacem Concrete Waterproofer can also be projected mechanically*. Apply a minimum of 2 coats of Arcacem Concrete Waterproofer. 2nd coat: The 2nd coat can be applied by brush or smoothing trowel (1 to 2 mm thick). The 2nd coat is applied once the 1st has completely hardened only (minimum 24 hours in optimal conditions). 3rd coat : In order for the substrate to resist to high counter pressure (in case of groundwater near), apply a 3rd coat - 1.5kg per m² (1 to 2 mm thick). The 3rd coat is applied once the 2nd has completely hardened only (minimum 24 hours in optimal conditions). 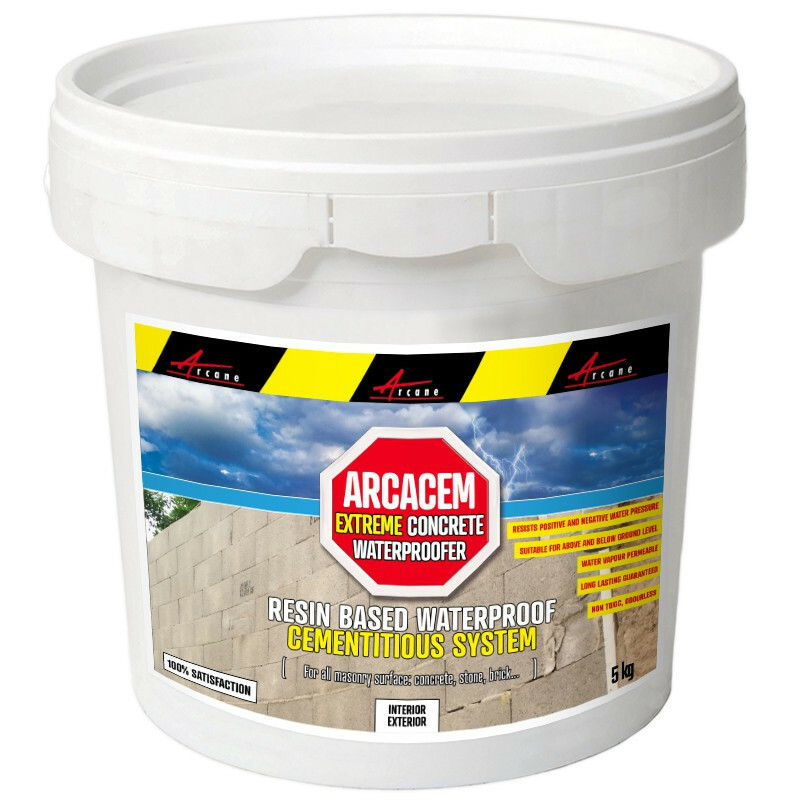 Arcacem Concrete Waterproofer can be reinforced with a reinforcing cloth ARCAFIBRE (angles, joints, microcracks). 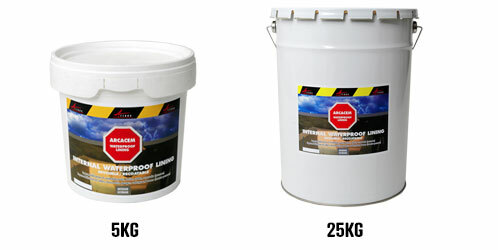 *Arcacem Concrete Waterproofer can also be projected mechanically. Use a low speed machine with an 8mm nozzle. Project the product evenly over the surface, applying the correct amount while avoiding excess thickness. Smooth with a trowel to press out all bubblies. 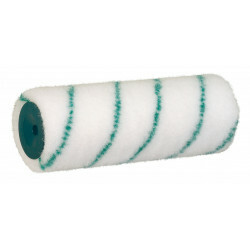 Stir material thoroughly before application and periodically during application to maintain a homogeneous mixture throughout the application process. Arcacem Concrete Waterproofer Tanking Slurry waterproof tanking system can be covered by a concrete screed or slab, tiling or a number of other top coatings. It is possible to tint Arcacem Concrete Waterproofer Tanking Slurry with ARCACOLORS, maximum 3% of total weight. Not recommended for work subject to UV. Store in unopened containers in a clean, dry area.